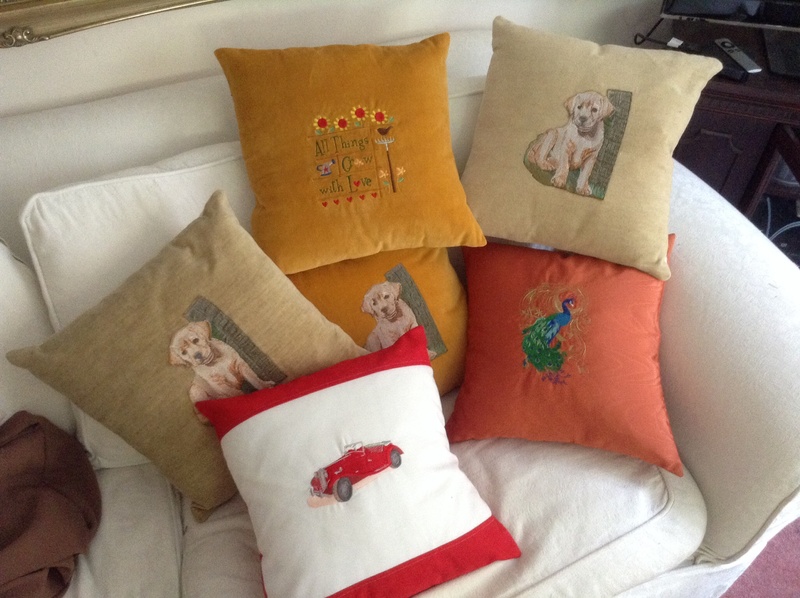 60 Cushions (and rising!) for 60 Charities (and rising!) 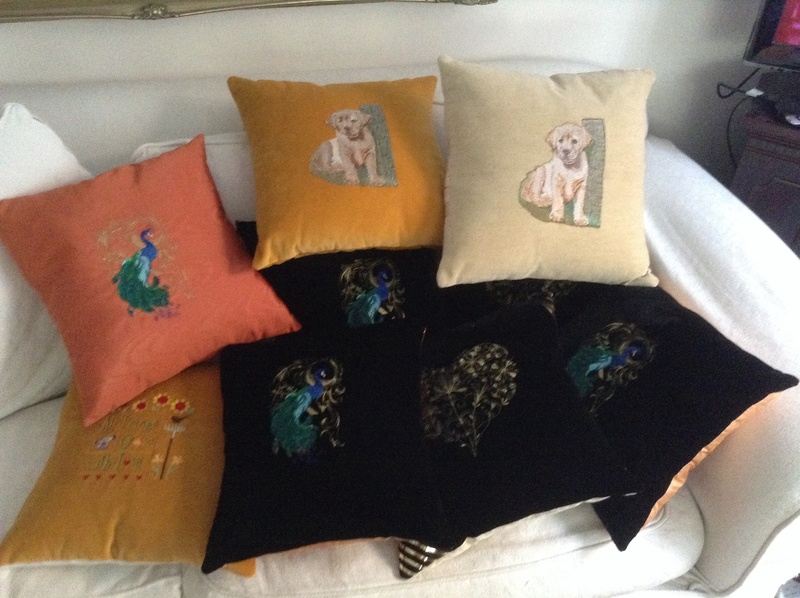 « 75 cushions delivered, 58 cushions raffled or auctioned, approx £6485.50 made! 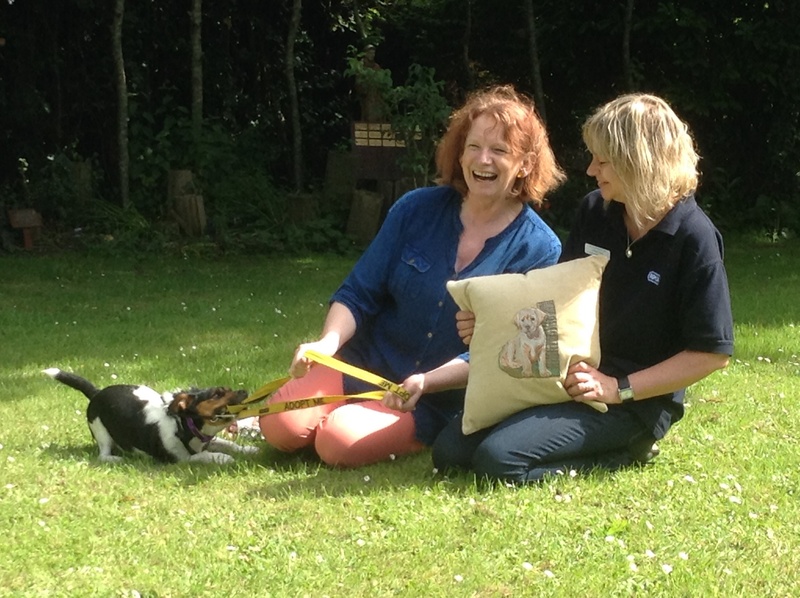 Took a cushion to the Stubbington Ark, RSPCA Centre….. The Ark costs £3,500 a day to run, so every penny the cushion makes will be put to good use. They plan to raffle it at several events, I’ll let you know where when I have details. Sheila Price and her team, based at Shirley Baptist Church, Southampton, are passionate and hard working in their support for Childsplay Romania who support young people in Romania, in all aspects of their welfare (health, education, etc). They’re going to have a special event later in the year when their cushion will make an appearance. 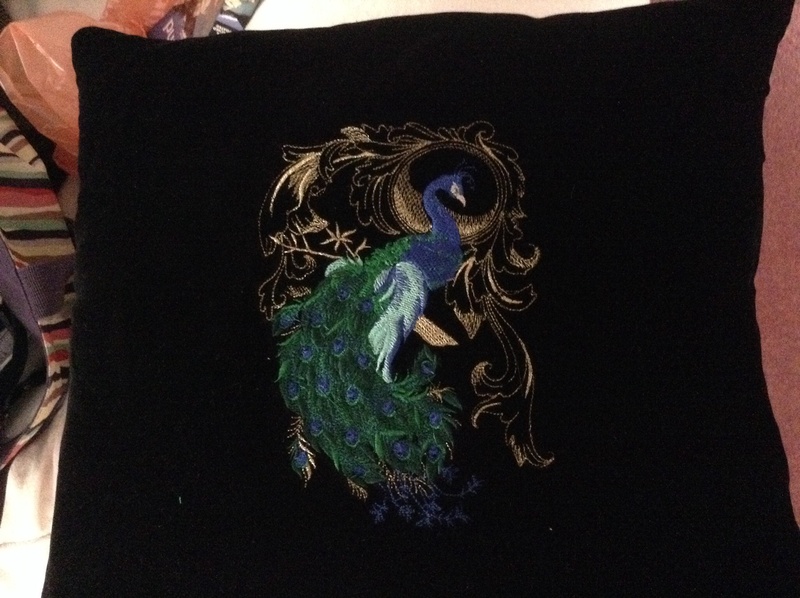 The last few cushions are on black velvet, there was just enough to take me through to the end of the project! It’s been lurking in the cupboard for years. I had made a pair of posh trousers from it, and had to patch them up when I was bitten by a dog in a pub! It put me off using the rest of it for clothes! Somewhere in this heap is the 92nd and final cushion! Just got to scuttle about delivering them and then hope all the amazing people who work so hard for charity can turn them into loads of pennies! There’s a very special MG cushion at the New Forest Run of the Southampton and New Forest MG Owners club. This year Club members have chosen two local charities to benefit from the Run – Brendoncare and the Society of St James. Brendoncare are based in Winchester and have 10 care centres and about 70 social and friendship clubs. The care centres provide a mixture of residential and nursing care, and the Clubs which are spread across Hampshire and Dorset have around 1,600 members and 400 volunteers. The Society of St James support those who are homeless, they have a drug and alcohol recovery programme, have specialist supported accommodation and give support in the home. Have a Ball with Wessex Heartbeat! “Put simply Wessex Heartbeat’s driving ambition is to help achieve the very best care for people with heartbeat conditions. Wessex Heartbeat is a well-known local and Wessex-wide charity of 20 years . It exists to support the improvement of cardiac care at the specialist Wessex Cardiac Centre based in Southampton General Hospital. Large and small projects benefit more than 20,000 people every year. 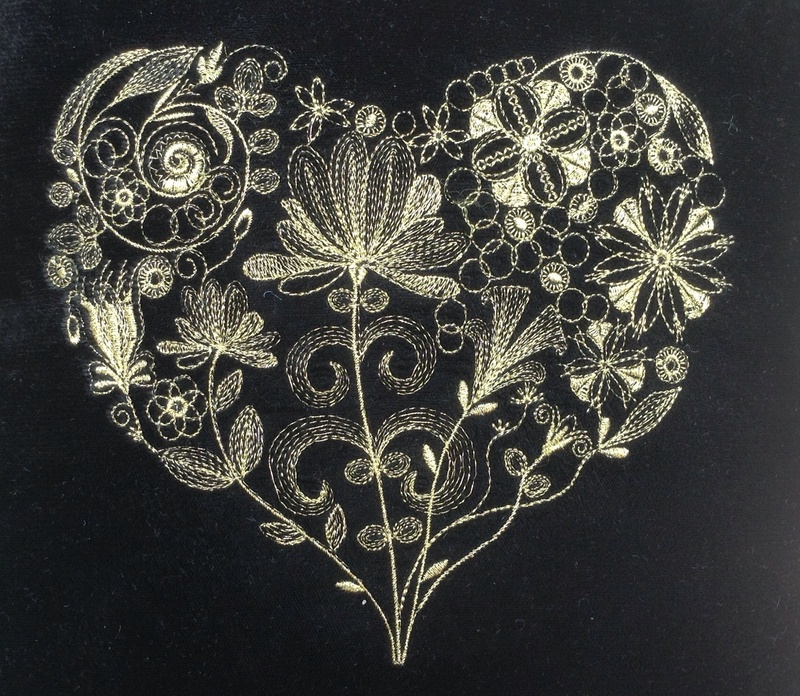 Tickets for the midsummer ball are £55 each and it sounds like a wonderful evening. 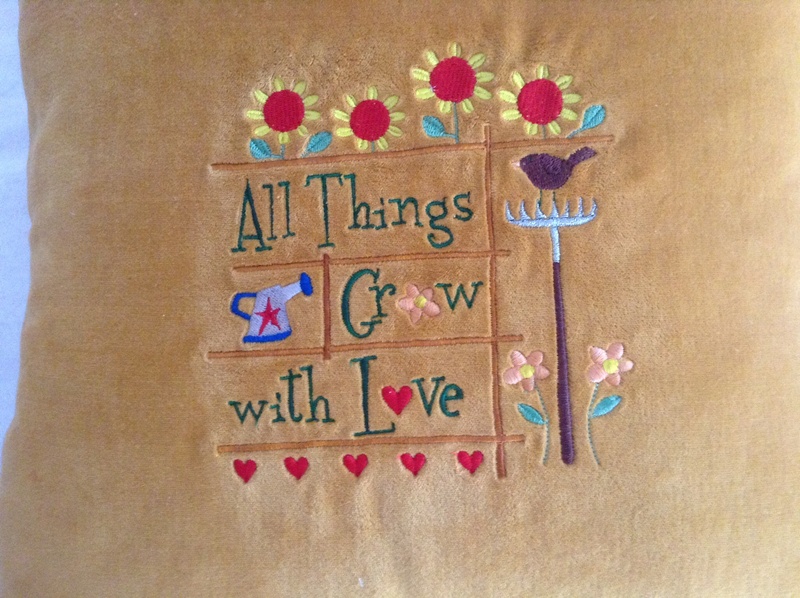 The cushion will be part of the silent auction. Trevor Clements and his family have a very personal reason for helping the Mission for Seafarers, Bournemouth (like so many of the cushion recipients), and are hoping to swell the coffers with as many pennies as possible. They are going to sell tickets at several events, the first one is Tuesday June 3rd at 10.30am at a coffee morning at 58 Haven Road, Canford Cliffs. It would be great if you could pop in and support him. 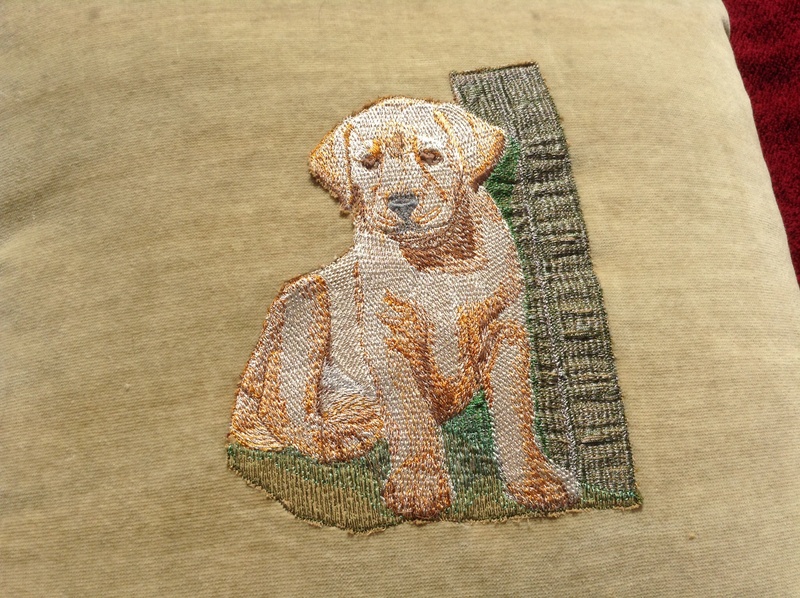 There’s a Labrador puppy cushion waiting for a new home!